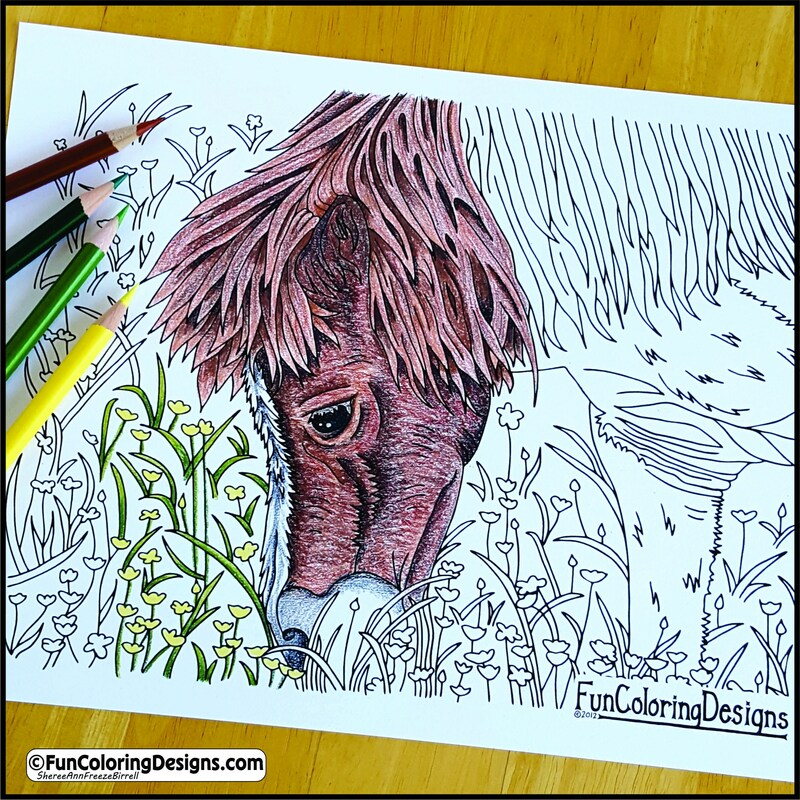 Fun Coloring Designs is for Everyone! 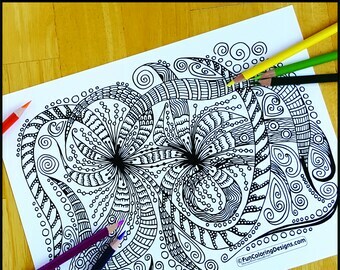 A printable, instant download, Coloring Page for everyone to enjoy. 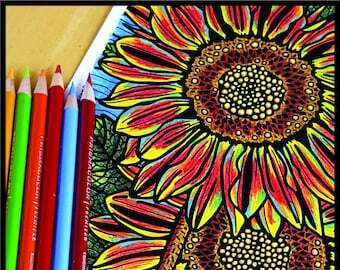 When you purchase this Coloring Page I donate an identical coloring page to our local Community Youth Programs or After School Programs. Hand drawn in Pen and Ink and then converted into a high quality vector graphic. PDF File. Each page is US Letter Sized Paper, 8 1/2 x 11. Print it from home on any paper you would like. Print it for personal use as many times as you would like. ~ This is a digital file that you will be able to download when your payment has gone through. No physical items will be shipped to you. ~ Digital Downloads can't be returned or exchanged because of the nature of these items. ~ You will need Adobe Acrobat Reader to be able to open and print this file. 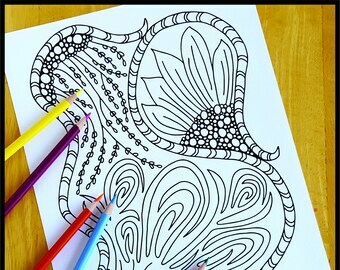 These coloring sheets are great for many reasons. 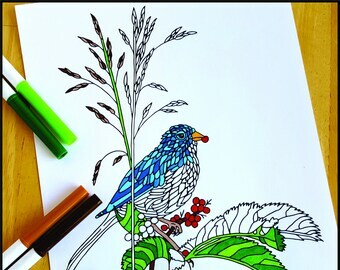 The unique design and thick lines make coloring easy and fun! It is nice to color on preferred coloring paper instead of the poor quality coloring paper inside most retail coloring books. I'm also glad the seller is giving back to the community by donating prints with every purchase that is made. We'll be buying more of these as new designs are released! We love to color! We are so happy with the excellent quality of your designs. They printed beautifully. We are so excited to color your pages. The free colored sunflower print is amazing!! 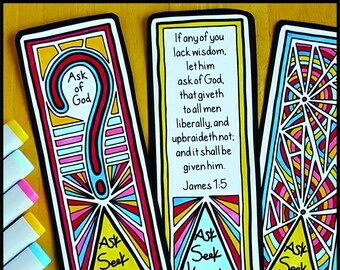 Are Fun Coloring Designs handmade? How are Fun Coloring Designs Created? First the design is drawn in pen and ink. Next it is imported into the computer and made into a smooth Vector Graphic image. A Vector Graphic gives a High Quality, Clean line for each Coloring Page. A PDF file is created ready to download. What can I do with my FREE Colored Print? I also love to color so I wanted to color my favorite page and share it with you FREE in your variety pack. It can be used as your phone or computer wallpaper. It is very High Quality and can be used to print on gifts or Artwork for your home. I print at my local Costco. I am sure you can print it anywhere that works for you. It will blow up to a large size and still print great. What kind of paper should I print my Coloring Pages on? Regular printer paper works great. 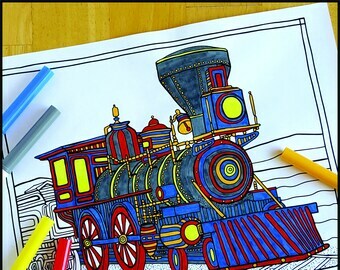 The Fun Coloring Designs will look more like Artwork the higher the quality of printer paper. Card Stock is good for a more durable Fun Coloring Design. I like Card Stock also when I am using Color Pencils. There are many specialty papers and Water Color Printer Papers that are also fun to try. I use highest quality paper I can find.